The artwork for this issue was commissioned in collaboration with The Naughton Group and features original paintings by Zhang Yong, a distinguished chinese artist. The full collection has been designed by EJC design who has utlised traditional colours, including red metallic ink to complement Zhang Yong's brush drawings. Chinese brush painting is an ancient art that continues to fascinate contemporary artists. 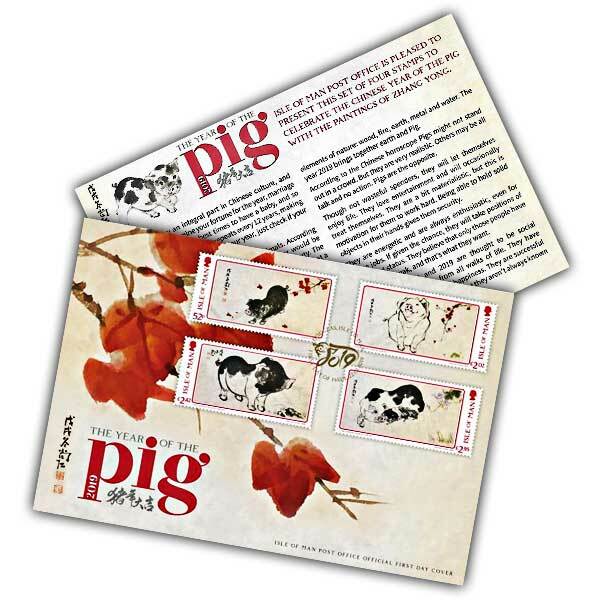 Featuring a unique cancellation mark inspired by chinese culture, this wonderful first day cover features the full set of 'The Year of the Pig' stamps cancelled with the first day of issue, presented on a delightful backdrop. 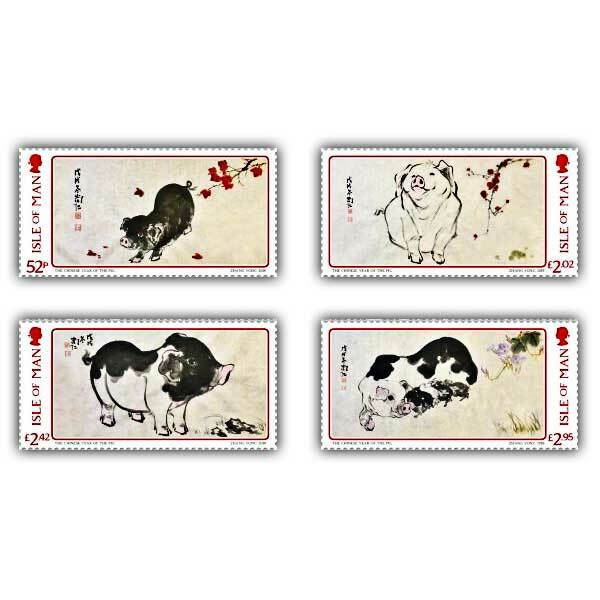 For those who appreciate Chinese art, this first day cover is a 'must have' for your collection.